Amass a fortune by buying and selling goods in this fantastic seafaring game of chance, skill and adventure! Earn enough gold to upgrade your ship and engage in land and sea battles. 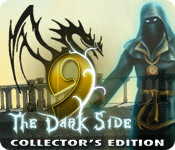 Trade magic weaponry and mysterious artifacts as you encounter a fascinating new world and discover uncharted ports. Two game modes and over sixty hours of gameplay await you in your quest to dominate the high seas!